A construction effort that likely lasted from the 11th to the 15th century, and was also refurbished during Victorian days, the Church of St Edward, Stow-on-the-Wold, in Gloucestershire, was built on the spot of a former Saxon church. The present-day edifice fuses various architectural styles. There are bits of Norman masonry and Early English types of arches and columns. Distinctive as well is the nave clerestory, a testimony to the late Gothic architectural twist. 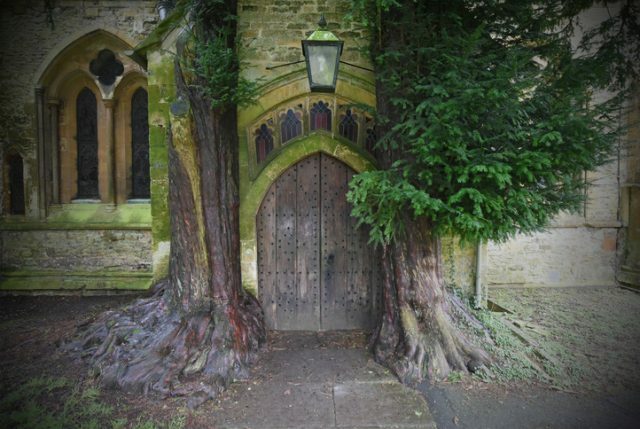 While all of these authentic features are of interest in their own right, one that might have fueled the imagination of a famous writer is the church’s north door, flanked by two ancient yew trees. Rumor has it that this was the door that sparked J. R. R. Tolkien’s “Doors of Durin,” the west gate of Moria that appears in a scene in the The Lord of the Rings: The Fellowship of the Ring. Nevertheless, this is still just a rumor, and nobody has so far authenticated it. St Edward’s Church is a great attraction and place of interest, protected as a Historic England Grade I listed building. 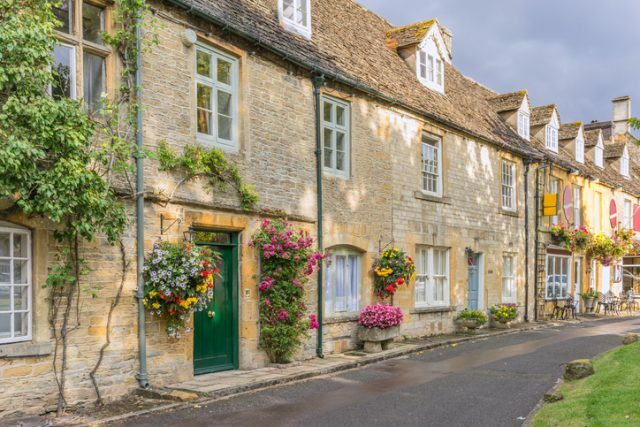 The small town of Stow-on-the-Wold can take pride in having such an architectural masterpiece within its boundaries. Some praise of the church’s earliest features can be found inside, like the ornamental nailheads of the columns. These are among the church’s segments that hint of a church of similar proportions occupying the site before this one was completed. Other portions of the church testify to it not being an ordinary architectural construction. The aisles of the nave are rather uneven. Different corbels, some plain-looking and some grotesque, can be noticed in the nave, perhaps depicting notables of the day. The chancel is much restored, and it bears elements from Victorian days. The low part of the nave’s west wall further reveals the earliest masonry in the church, likely Norman style. A grand picture depicting the Crucifixion scene, the work of Gaspar de Crayer, a Flemish painter active in the early 17th century and noted for his various altarpieces, is seen in the church’s south aisle. The piece was presented as a gift here in 1875. Some of the windows of the church are reputably an early 14th-century effort, distinctive for their pairs of trefoil panels that also embed tinier quatrefoils. The tower gives an imposing feeling too; erected by 1447, it rises more than 80 feet in the air and contains probably the heaviest bells to be found across the county. While the current clock of the tower was installed by the mid-1920s, there was another clock that chimed the hour before, at least since 1580. Architectural admirers will certainly enjoy all these various aspects of St Edward’s, and likely they will come across more great details upon visiting the church. Another striking element is the pair of old yew trees hugging the north door that is dated to either the 17th or 18th century. 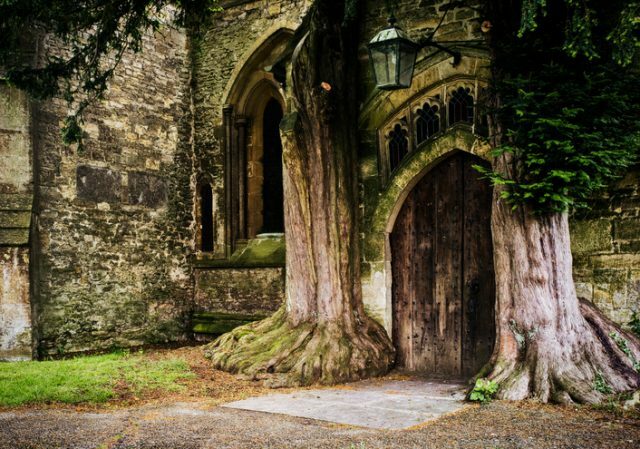 This door, looking as if it had emerged from a fantasy world, perhaps inspired Tolkien in his writing of the memorable door he described in the first part of his famous The Lord of the Rings trilogy. However, there isn’t any written account proving any connection of the Oxford-based writer with this site. Tolkien included in his book an illustration of the west door of Moria, crafted by both dwarves and elves according to the books, and this was the entrance to Khazad-dûm. After the Dwarven city was left deserted, the manner of how the door could be opened was forgotten. 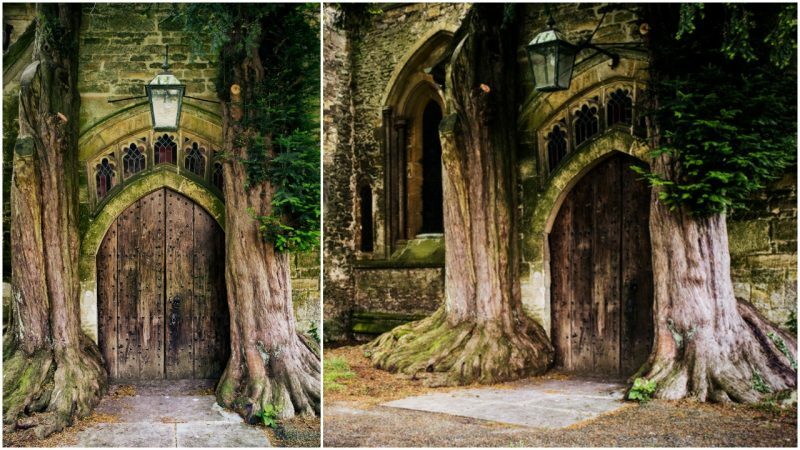 When someone compares Tolkien’s illustration of the door with the actual door at St. Edward, there is only a slight resemblance between the two. 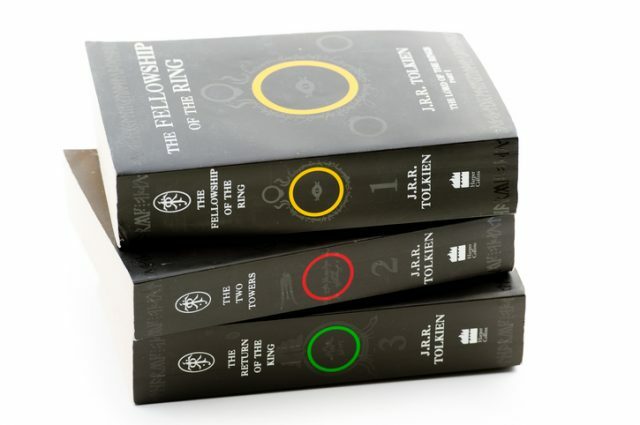 More likely, what has heated the debate is the book’s adaption to the big screen, and how the door was depicted in the film. 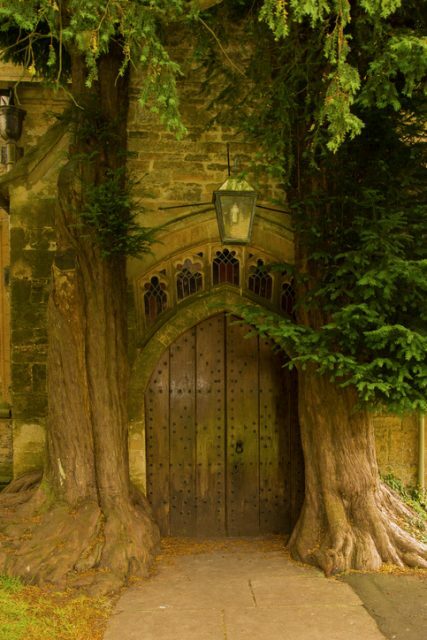 St Edward’s Door is also known as the Yew Tree Door. Similar-looking doors, perhaps not as impressive as this one, can be spotted at other places in England. Tolkien could have been inspired by this door, or by several others, or possibly from something entirely different–for that, we can never be sure.